About Valley Vista Construction, Inc.
Valley Vista Construction, Inc. is a local, family-owned and -operated company serving the Blount, Sevier, Loudon, Knox, and Monroe areas, providing homes and small businesses with expert roofing and more at affordable prices. 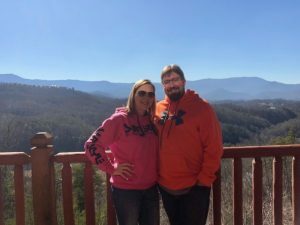 Before Valley Vista Construction, Inc. began, Kevin and Tracy Dawe had their start in the roofing business in 2004, when Kevin took required classes to get a contractor’s license in Tennessee. When hurricanes Charlie, Frances, and Jeanne hit, however, he was called to Florida to assist in metal roofing installation for those affected. There, he saw firsthand the mass devastation the hurricanes left in their wake. Lives had been changed so dramatically after that and it felt good to him to give those who needed to reestablish their homes a helping hand. In 2006, Kevin got his contractor’s license in Florida. By this time, roofing had become his livelihood, and he was helping homeowners whether their concerns were storm-related or simply to protect their investments. Valley Vista Construction, Inc. was established in 2015. Today, Kevin and Tracy Dawe have five children. Living in Maryville, TN, they love being a part of the local community and helping their neighbors and those in the surrounding areas with any and all of their roofing needs. As a roofing specialist, Valley Vista Construction, Inc. carries all types of roofing, including asphalt shingles, metal, and single-ply membranes. Not sure if you need roof repairs or replacement? We offer free inspections you can take advantage of to determine the best course of action for your roofing system, ensuring you make the most of your investment. Dealing with storm damage? Our team can also work with your insurance company to help you finish your project on time, on budget, and as agreed upon. Did you know that just 2% of roofing contractors in North America are given the honor of calling themselves Master Elite® contractors? That’s because the certification program set forth by GAF is so stringent! Armed with our commitment to quality, we met standards set by the largest roofing manufacturer in the region, giving Valley Vista Construction, Inc. the distinction of being a Master Elite® contractor. This certification signifies our goal of offering only the best products and services around for our roofing customers, backed by some of the most generous warranty terms available in the industry. To learn more about us and what we can do for you and your home or small business, just give Valley Vista Construction, Inc. a call today at (865) 963-7003 or fill out our contact form and we’ll get in touch with you right away.